Market Rasen Town Reserves will head into 2018 at the top of the table despite the postponement of Saturday’s fixture. A frozen pitch put paid to Town’s final East Lincs Combination fixture of the year at home to Burgh Athletic. But with second-placed Grimsby Borough in cup action and third-placed Susie Star out of action, Rasen remain one point clear in Division Three heading into the new year. Town have won seven of their nine matches and are unbeaten in the league since October 7. 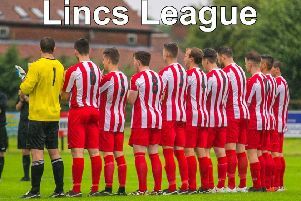 They return to action on Saturday, January 6 with a trip to Louth Old Boys Vets (kick-off 2pm).